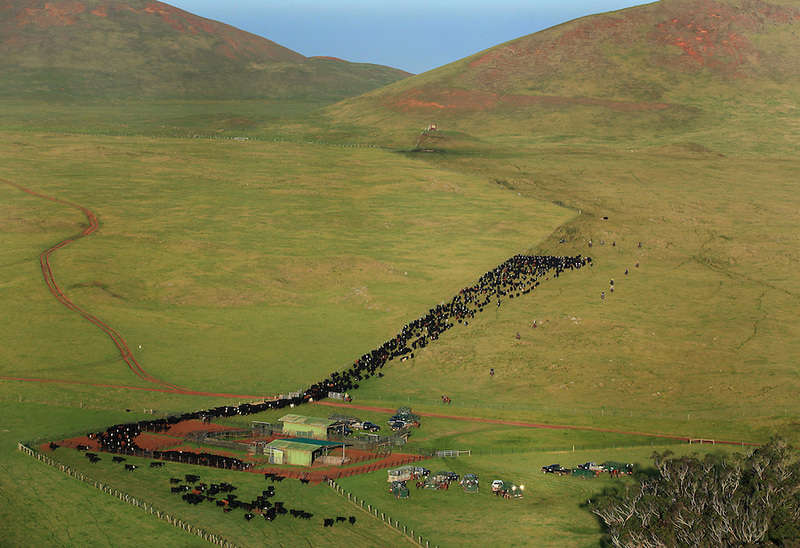 Parker Ranch cowboys herd over 800 cattle into a coral in preparation for weaning calves from mother cows in Waimea, Hawaii. While each cowboy has responsibility for a different section of the 135,000 acre ranch, all the cowboys work together when working with large herds such as this one. Parker Ranch was the first ranch established in Hawaii and is the largest privately owned ranch in the United States. It's history is closely connected to the history of the Hawaiian cowboy community.